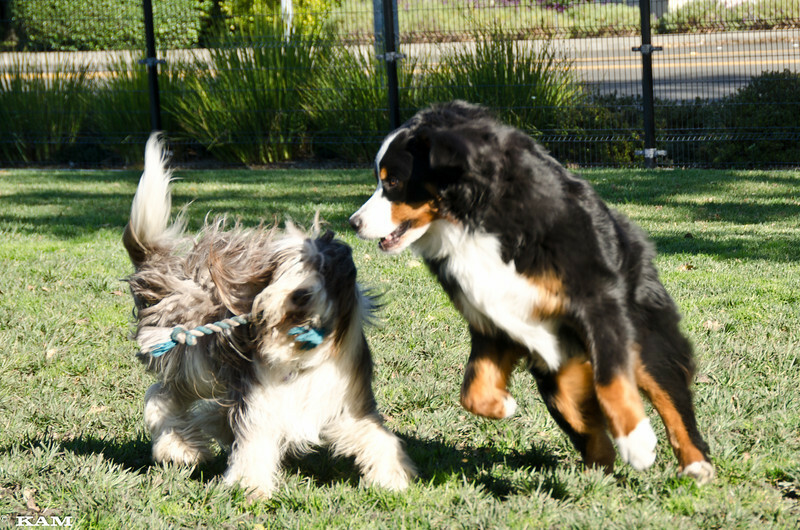 Our golden duo and berner duo meet each week at the Marin Humane Society dog park for an hour of romping and pure fun. December 3, 2011 - fun day at the dog park with Charlotte, Sunny, and Ruby. Charlotte's puppy class friend Rory joined us for part of the time too. They were all happy to see each other after missing last week because of the holiday.